This year in Gowerton, with our North Gower Partnership Primary schools, we are focusing on the 12 Pedagogical Principles outlined in the report. These principles emphasise the importance of excellent teaching and learning. 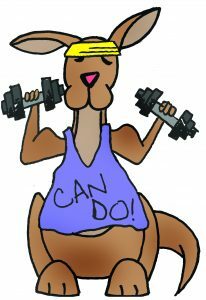 To help our younger pupils understand these principles we have created a character, ‘Can Do Kanga’. This kangaroo helps us all to remember the various principles. One principle is ‘Mindset and the power of effort’. From this ‘Can do Kanga’ was born! We use him as a mascot to encourage pupils to have a positive mindset and a ‘can do attitude’. We hope you will share the enjoyment of ‘teaching and learning’ with us and each week we will post the ‘positive mindset’ quote that we share with pupils and staff.